The mystical study of the relationships between music theory, Hebrew gematria and Kabbalah have been pursued for centuries. I have to admit that I’m new to these ideas, but something I discovered in the English alphabet and how it relates to the Solfeggio tones of do, re, me, etc. has inspired me to look deeper. In the 7-tone, 8-step musical scale of Western music, the fundamental sequence follows the same pattern that has been established since the dawn of humanity. The first and last A’s are actually different pitches of the same tone. In music, the combination of the 1 and 8 produces a ratio of 2:1, also called an octave. 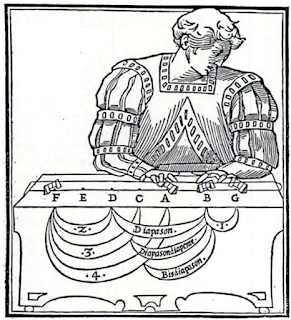 Pythagoras is credited for discovering that a string divided into equal sections will produce all the tones of the scale when held down on the markers of the mathematically determined ratios. Yet, as the article linked above shows, humans were making simple flutes capable of producing music 40,000 years ago. The oldest discovered so far is in virtual unison with A=432 hz, otherwise known as Verdi tuning, the most celebrated tuning pitch of all time. Handel’s diaposan tuning fork was set at A=422hz, which is noticeably lower than the stressful A=440 hz used today. This was done undoubtedly to help Handel’s singers with the athletic singing parts he wrote for them. Once again, genius yields to nature. -oo as in blue have open and sonorous tones. Other sounds like the short -i and hard consonant -r in the word ripper put more friction on the airflow. Speakers have to bunch up the tongue to produce those sounds. When we come to music, pronunciation and airflow are even more important. The acts of singing and chanting are a kind of tonal language that has a powerful effect on the human psyche and physiology. The ability to experience spiritual joy through music and language is unique to our species. The way we end up getting initiated into music is even more personal. 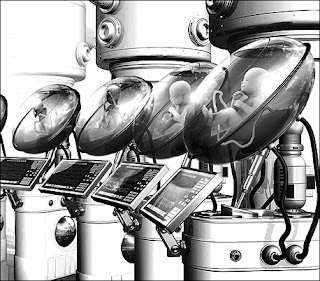 Our aesthetic “choices” are often incomprehensible to others, which is the way it should be, I imagine. 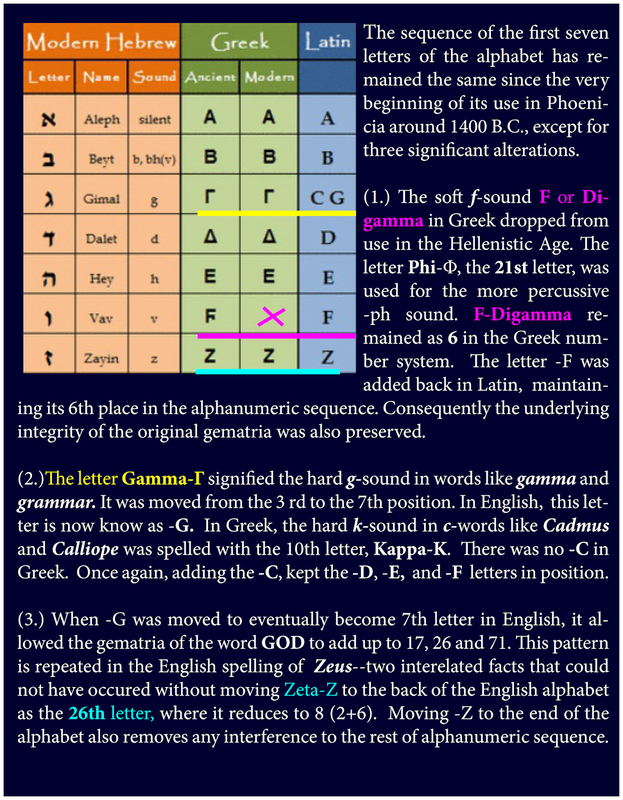 In contrast to music’s endless variety, the sequence of the first seven letters of the alphabet has remained remarkably intact ever since the first Canaanite/Phoenician alphabet of circa 1400 B.C. I discussed the history and gematria of that process, here. The seven tones are based on the natural laws of mathematical proportion. They literally are an order unto themselves, eternally distant in the world of abstract ideas. The scale of natural notes from A to A is in the key of A minor or the Aeolian mode. With all the connections just noted, the following gematria is significant. 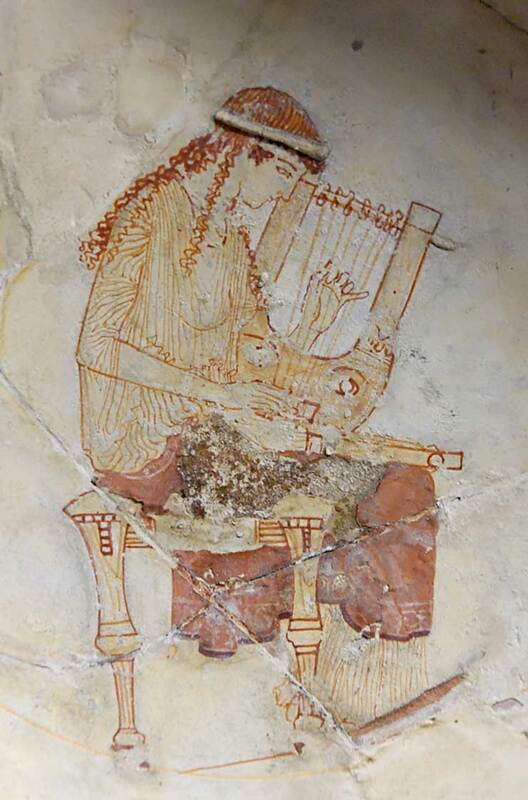 “Muse Tuning Two Lyres” c. 470 B.C. All of these numbers reduce to the number 4, which I’ll have to spend some time on in the next post. . In English language gematria, the name Zeus has much in common with the word GOD. The same numbers 17, 26, and 71 reduce to 8, the octave, as discussed in a recent post, here. It would seem that almost the entire English alphabet, and not just the first seven letters from A to G are part of a hidden musical code within gematria. I know that’s an astounding claim, and to be honest I’m still working it out. But left me start with this observation. If you use the English Reduction, also known as Pythagorean reduction, for the name of Zeus, the letters and numbers look like this. E is the 5th letter. The perfect fifth of 3:2 the foundation of all Western music. U reduces to 3, which has the value of C in the Aeolian mode. S 1 brings the progression back to A..
By reading the chart above from right to left, the chord pattern creates a second inversion triad with 8-5-3-1. When I play that progression on a Les Paul through a maxed out tube amp, it sounds like ZEUS, that’s for sure! It’s very archaic and powerful. These ratios work out even more harmonically for the C major scale or the Ionian mode. The C major triad of C – E – G is the most fundamental chord in music and one of the easiest keys to sing in. I’m going into more detail about this in the next post, but in Greek architecture, the concept of measuring out the dimensions of temples and amphitheaters according to the ratios of musical chords is widely known. The guild of architects and stone masons who built them were the Dionysian Artificers. The three octave grid consists of 24 steps and 23 -notes, since -H and -J are both on middle C. The grid also leaves out the 9th letter -I and the 18th letter -R. They’re perfectly fine letters. Important letters. Still, I can see why they’d be left out in a tonally based gematria. As stated earlier, those sounds are somewhat stressful, and not so “musical” in relation to other tones. For instance, I have yet to hear a song, even a particularly brutalizing Death Metal one end on an -rrrr! The short -i is identical to the long -ee sound in the way one has to lift the jaw to flatten out the vocal cords. Singers are taught to compensate for the -i and -r sounds by morphing those phonemes into less constrictive ones. Songwriters are often advised to use these sounds sparingly in order to make their lyrics more open sounding when sung. If there is something to this theory, it seems significant to me that two of the most troublesome syllables to sing are in the 9th and 18th ordinal positions of the English alphabet. In this way they can be counted in the gematria when adding, but left out of the matrix from the standpoint of acoustic resonance. I know that’s a reach, but stay with me. The harmonic dimension of gematria that one finds in the 8-5-3-1 numeric sequence for Zeus is the pattern for the Fibonacci numbers. Mathematicians love elegant looking equations and that’s great. However, I’m going to explain Fibonacci numbers the English major way. So, look out! 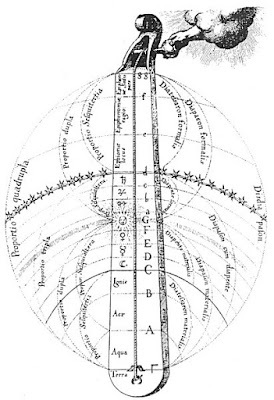 Music is the sound of the Fibonacci numbers in harmonic resonance with each other. Dissonance and cacophony are simply a lack harmonic resonance caused by not being in tune with the Universal vibration symbolized by Φ.
I have to close with this. In many countries St. Cecilia’s Day is still celebrated on November 22. She is the apocryphal inventress of the organ and the patron saint of music. I think about what happened on that day in 1963. If there was ever a day that was meant to destroy Concord and Peace, that was it. I have more to show as support for the speculations entertained earlier, but I got carried away. And, this post is probably too long already. I didn’t get to everything I wanted to, but there’s always tomorrow. In addition to that discussion, the god-names have spellings and pronunciations that are so congruent with gematria and the history of language, that it almost seems like the Greek and Hebrew alphabets and even the Modern Latin alphabet, that we use today are built around the names for Deity. The changes in languages and alphabets reflect the changes in pronunciation that inevitably occur over time. Pronunciation, as it develops in the culture of a nation is a process as natural as the flowing of a river. It has a life and power of its own that authors, orthographers, and even grammarians have to respect. Great social upheavals such as war and migration have wrought indelible transformations in languages. However, the source and underlying flow of time is eternal. In Hebrew, the name for God, Yahweh or YHWH, is written from right to left, as יְהֹוָה . The gematria for יְהֹוָה adds up to 26 and 17. The English word God and the old Germanic Gott are based on similar numerical patterns. In Greek, we see the same numerical patterns emerge. 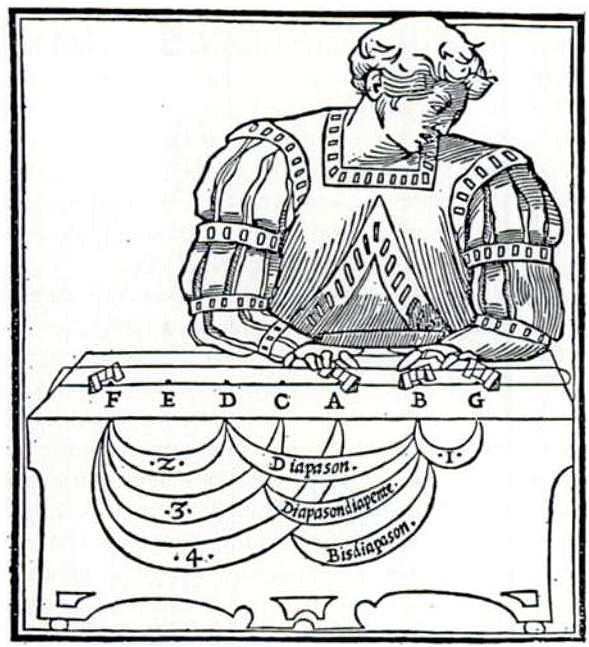 In the ancient Greek of the Classical era, that’s the Attic dialect spoken in the Athens of Aeschylus, Sophocles, and Aristophanes the greatest playwrights of the ancient world, their alphabet consisted of 26 letters as well. (Dantzig, 40). 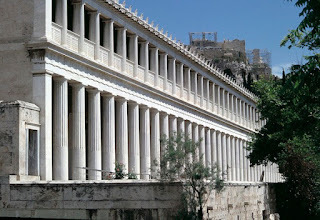 That was for a period of about 200 years from the 6th to the 4th centuries BC. Soon after that, two letter sounds dropped from use, as partly explained in the chart above. This is a very early Latin alphabet. It was written from right-to-left, a characteristic it shared with Hebrew. -Z was still in the 7th position, as explained in the chart above. 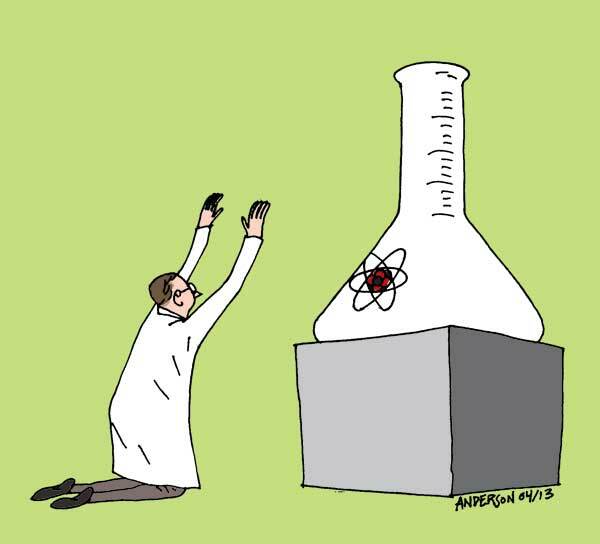 With all respect, to true science, the cynics who love to talk about about scientific “proof” are sometimes more absolute in their beliefs than Christians. 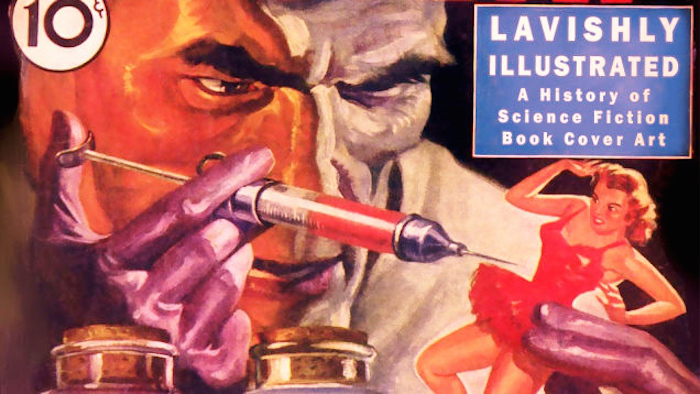 They’ve been led to believe that truth only comes with glasses in a white lab coat and a clipboard. They’re content with having Evolution and Technology as their gods and Chance as their guiding principle. People like this don’t spend much time questioning their own belief systems, which is the norm for most true believers. That goes for whether they’re atheists or fundamentalists. If they did, they would discover that the scientific establishment is also a kind of priesthood. It has rituals, dogmas, hierarchies, and taboos just like religious organizations do. 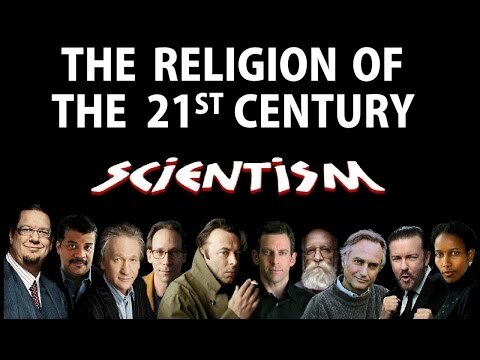 The religion is Scientism and it has its heresies, as well. If you talk about the idea of a universe by the design of a Creator, you’re a loon. If you doubt the veracity of man-made carbon dioxide as being the main cause of global warming, these people think you should locked up in an institution,or worse. Never mind the fact that Al Gore and David Blood, are making billions from pushing this ideology. By the same token, If you point out the dangers of mass vaccination based on corporate profits, they call you a conspiracy theorist. All must kneel and pay homage to the holy “scientific consensus.” The consensus to which they make their appeal is based on propaganda and coercion from corporations and the governments they control. 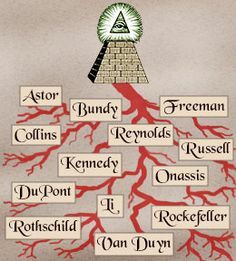 Behind these fronts are the secret societies like the Zionists, Masons, Jesuits and the Vatican who are also at the top of the religious control spectrum. These groups, admittedly in many cases, use gematria and numerology as a kind of symbolic language. The full extent of the scope and purposes for the use of this language are still not known. However, if you look at the evidence it becomes clear that this language does exist. Furthermore, with comparative analysis and symbolic association it’s possible to learn quite a bit about the subtextual messages conveyed through number. Gematria and numerology are not “hard” sciences like physics or calculus. Those are based on completely abstract numerical systems of measurement and observation of physical reality, and nothing else. alchemy, sacred geometry and even ritual magic. That may be the ultimate reason behind the dark sorcery brand of gematria, the kind one finds in the news and corporate advertising. It seems to be used as a main ingredient for mind-control spells to induce the masses to acquiesce to more and more centralized authority, to buy products and accept lies as truth, without knowledge of manipulation. On the other hand, knowledge of gematria could free humanity from its present spellbound state. It might contain keys to understanding how language, geometry, natural law and the structure of reality are all deeply connected to each other. In other words, it requires a brain, a heart and a sense of imagination to see what gematria and numerology have to reveal. The numbers are more like road signs that point you in the direction to where the truths can be found. 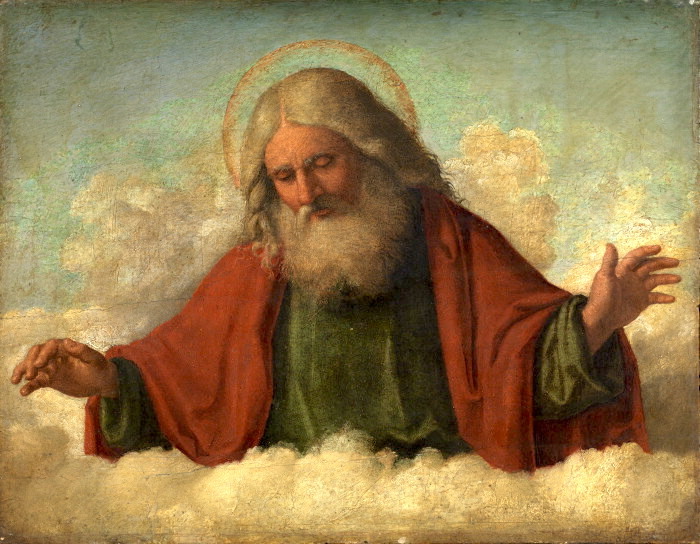 In this post, I’m looking at the gematria of deities, “the gods,” throughout world history. The gematria one encounters here is of an entirely different order than the freeze-dried black magic form of gematria I was just referring to that’s in the media nowadays. In these ancient identifiers, there’s a lot more going on. Not only do we find meaning in the English ciphers for these words, we see the same and similar numerical and symbolic connections show up in ancient Greek, Hebrew and Latin gematria Are they exact matches down the line? Is there an account for every number that pops up in a calculation? No, Mr. Left-Brain, I’m afraid not. Is there a selection process in the facts presented? Yes, but not to deceive. As I said earlier, gematria is as much an art as it is a science. An artist is expected to organize and select, not to mislead but to reveal meaningful patterns that resonate. A good audience looks and listens with open minds and interprets the work on multiple individual and collective levels. Scientists also have to find meaningful patterns in the mountains of raw data that they encounter. I need to add this observation. 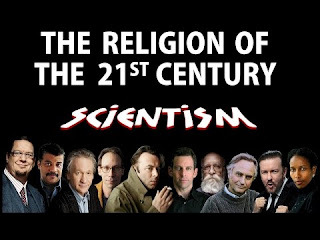 There are undeniable gaping holes in the theory of evolution that scientists themselves have to admit, yet people believe in it as if it’s some kind of revelation that has to be right just as its written, no matter what. I’m not denying that evolution exists, that’s how nature works on some level. Still, the mystery of how the most basic unit of life, the cell: how it came to be, how it operates, how it first organized its own DNA, structured its own proteins and enzymes– all that is taken on the faith that somehow, someday, someway, “Science” is going to figure it all out. And it’s true! But science leaves a lot more out than just the cause of the cause for the universe. That’s nothing against science, I’m just pointing out its limitations, which every area of study has. Scientism, however, expects us to believe that Big Bang happened on its own. It also takes for granted that all of laws of the universe, the atom, energy, matter, motion, thermodynamics, electromagnetism, and gravity all happened and worked in perfect harmony from the very beginning all on their own, too. Yet, when these same people are shown simple mathematics, elementary numerical comparison, commonly accepted cultural symbolism that comes through time and time again in gematria, it’s all a bunch of bunk somehow. This quote was picked up by Aldous Huxley in his predictive-programming novel, Brave New World. That’s exactly what brainwashing is all about. Don’t look back. Keep busy. Put these on. Step this way. Don’t ask questions. We’ve got everything prepared for you. Looking back into history and primitive superstition, then finding the connections to the now — that’s the only way we’re going to begin to unravel this mystery. alphabet and language. English as we know it today would not have been possible without the foundation laid by Greeks and Phoenicians all those thousands of years ago. According to dictionary.com about 60% of our words are formed from Greek and Latin roots and prefixes. English is written in the modern Latin alphabet of 26 letters, which is directly modeled on the Greek and Etruscan alphabets.With these and other facts, it’s more accurate to say that the English language is the great-grandchild of Greek, rather than merely influenced by Greek. Cultural aspects have to be considered in all this, too.Western civilization and Christianity could not have developed without Greece. By about 300 B.C, Greek was the everyday language of most Jews, which is the reason the Old Testament was translated into that language by the Jewish scholars of Alexandria. The New Testament was written in Greek. Most of the early Church Fathers also wrote their theological works in Greek. The Scholastic school of medieval philosophy depended on Aristotle’s work and Ptolemy’s geocentric model of the universe. Although the Renaissance also looked back to Rome’s imperial example, it was the then recently translated works of Plato and Plotinus from Greek into Latin and Italian that really provided the artistic inspiration of the era. With all of these established connections between our world and the ancient Hebrews, Greeks and Romans, we shouldn’t be surprised about the numerical correlations in the names of their respective deities. For instance, In Hebrew, the name for God, Yahweh or YHWH, is written from right to left, as יְהֹוָה . The gematria for יְהֹוָה adds up to 26 and 17. 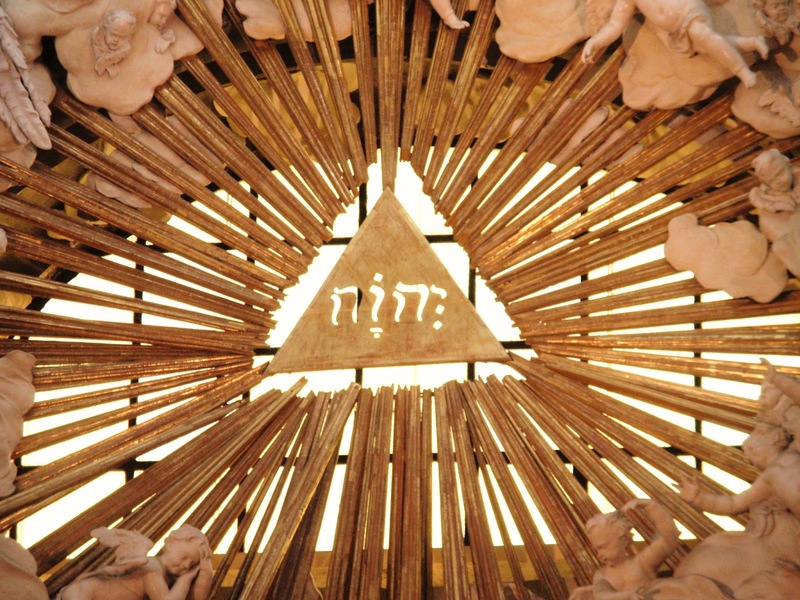 One of the names of God is written in Hebrew as אדוני or in English as Adonai. The numerical symbolism continues throughout these words as well. 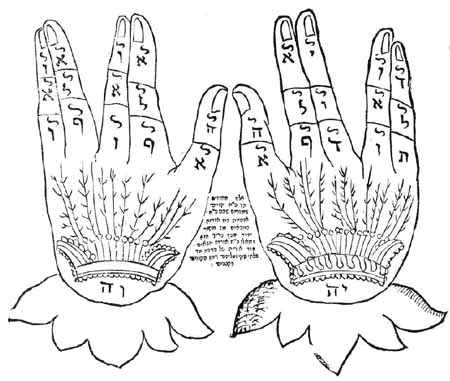 I need to mention that I learned the role of the hands in gematria first from researcher Marty Leeds, which is something I need to study more. However, I’ve linked to his YouTube channel, here. The English rendering of the Hebrew יְהֹוָה is often written as YHWH, since Hebrew does not account for most vowel sounds. YHWH adds up to 28, which is also a very significant number. For, instance a lunar month is 28 days with 4 weeks of 7 days. A woman’s cycle is normally 28 days as well. When observing the simple symmetry of the human hands, there’s 28 sections on 10 digits, with three on each finger (4 x 3) and two (1 x 2) on each thumb. On each hand, that adds up 12 + 2 = 14 sections, half of 28. We have 10 digits with 2 thumbs and 8 fingers. This simple mathematical reasoning also extends to the gematria of the first man, Adam. When you reduce the M to 4 from the 13th letter (1+3), one sees another strong correlation to the human hand with 1 thumb and 4 fingers for each hand. When you add the two hands together it sums to 10, the universal number symbolizing completion and the latent perfection before Adam’s fall into matter. In numerology, 10 is seen as the exponential extension of the 1, the Monad and source of all. It’s fitting that the gematria for Adam, reflects his status as the primary thought of God in His solitude, before he made the world. This Adam is also called the The Cosmic Man. He came before even the innocent Adam of the Garden of Eden, who eventually lost his way. 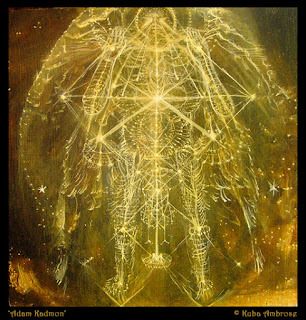 Michael Tsarion explains that this being is the celestial Adam Kadmon, the ideal man of “infinite potential” that 10 also symbolizes. His hands are as rods of gold, set with beryl. With hands of gold, it implies God’s wish for this Adam to a be reflection of Him, powerful yet full of goodness, balanced in thought and action. It is these very attributes of God that numerology traditionally assigns to the number 8. Leadership, stability, power, balance, abundance. This is also probably why so many of these words for the father-figure archetype in Judaism, Christianity and ancient Greek paganism all reduce to the number 8. For instance 17, 71, 26, 62, 44, 35, 53, 80, 89 and 98 and others in this study all reduce to 8. These 8-class numbers are the ones that show up most predominantly in the names of preeminent deities and words having to do with religion and rank. Also, the relationship between the number 8 in the reduction of words for deities, and 10 for the reduction of words associated with man’s relationship to the divine and seems to be pretty solid as seen above, and in the words below. I’ll add here that by using the -s exception rule, status, with two -s’s would also reduce to 28, the number for YHWH and man. The English gematria of 163 for hands corresponds perfectly with this line that emphasizes Adam Kadmon’s association with gold. Just as he is the first thought of God, gold is the first and finest of all metals. 163 is the 38th prime number, which matches the gematria for gold in both English and Hebrew pronunciation. The Hebrew word for gold spelled phonetically in English is “zahab.” It’s gematria matches with this as well. As is much often the case, prime numbers figure prominently in gematria, as seen here. We’ve already discussed 163 being the 38th prime number. 71, one of the “god numbers” is the 20th prime number. 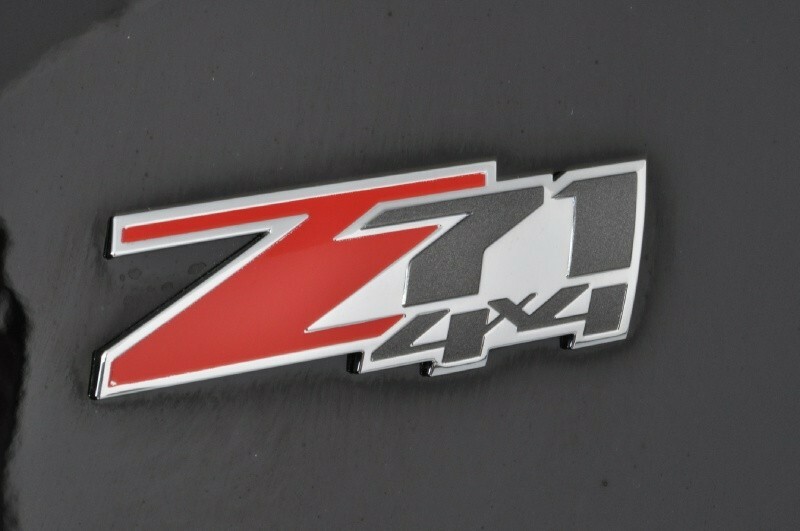 The seventh prime number is 17, another of of the god numbers. 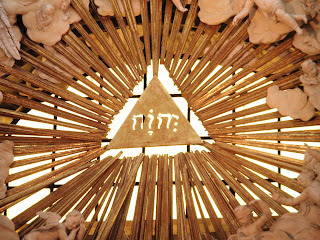 As can be seen above, 20 is important in words like gold and Kabbalah and zahab. 20, when it’s spelled out has something to add to this as well. In numerology, zeroes are not counted. Zahab in Hebrew letters is זָהָב. It’s Hebrew gematria is 14 which echoes the 1-4 pattern of the human hand discussed earlier. 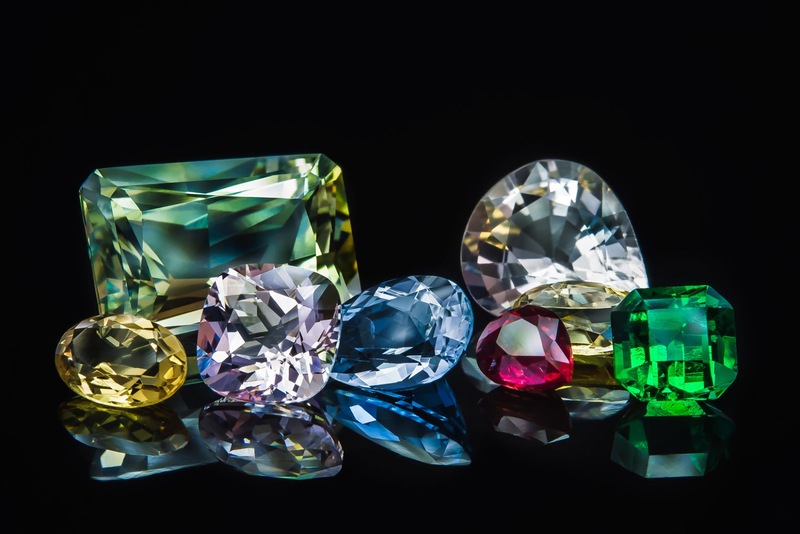 The precious stones referred to as beryl in the poem, would include gems like sapphire, emeralds and aquamarine. Beryl was also used for the gems that were on the breastplate of the Hebrew high priest. 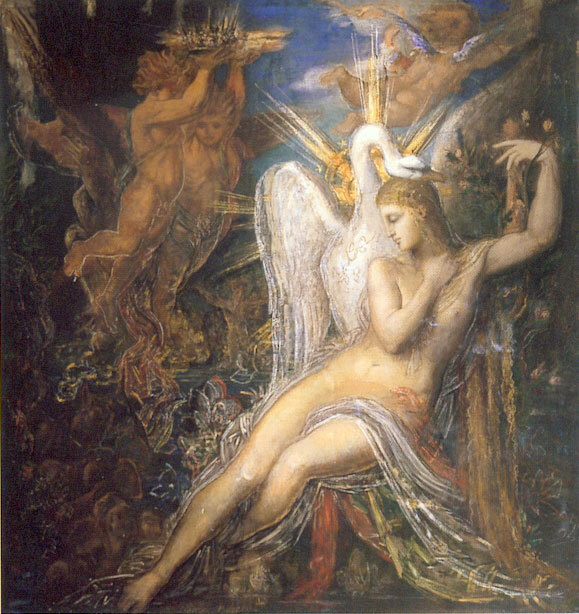 Beryl figures prominently in the vision of Ezekiel where the prophet compares the glory of God to the radiance of sapphire. The gematria of beryl ties back into the patterns we were following earlier, with 26 and 62. One can see how the 26|62 and 17|71 pattern of reflection and inversion is also strongly present in the following decoding. This is very often the case with what Tsarion refers to as “talismanic words. S, the 19th letter is the only letter that has to be reduced twice to get to a single number. Either reducing once to 1+9=10 or twice to 1+0 =1, is acceptable in the practice of numerology. I don’t think that the gematria of Mason with the numbers 17, 26 and 62 is accidental. Depending on one’s perspective, it could be a great tribute to the idea that a Mason is sworn to follow God’s commandments. However, it could also mean that a “Mason” is a god or god-like in comparison to the “profane,” which is the masonic term for those who are not masons. That’s hubris and arrogance one would expect from a group that excludes on the basis of “sacred” status for everything within Masonry, and “profane” exclusion for all that is not. Cygnus the Swan is a constellation that symbolizes Zeus. The story goes one fine day the amorous god seduced the nymph Leda. He accomplished this by assuming the form of a great white swan. Helen of Troy, the “original femme fatale” who launched a thousand ships was the result of their affair. The number 26 comes up here as well. According to the mythology and her divine lineage, Helen’s beauty was such that she caused the ruin of Troy and the death of many heroes in the process. Her very name Helen is derived from the Greek word Ἑλέ or hele, which means destroy. Both 26 and 71 show up in the name Apollo as well. 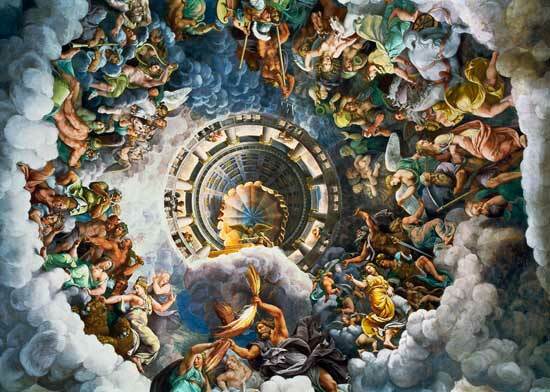 For the Greeks, Apollo was a very masonic god. For instance, he was their major sun god. He was thought of a god of enlightenment, truth, prophecy, healing, music and poetry.He was also the bringer of plagues and avenged wrongdoing without mercy. The banker tyrants and their masonic confederates who wield godlike powers on the world stage probably see themselves as gods in comparison to the rest of the human race. The gematria seems to suggest that interpretation. The connections between Freemasonry and the Apollo space program are also well-known. The story of Helen of Troy from Homer’s Iliad and Odyssey is but one among many myths that tell of beings–gods, goddesses and fallen angels who come down to earth, take lovers, both feminine and masculine, and bear children with them. The progeny of these unions like Helen and many others such as Aeneas and Hercules were known as semi-divine or demigods. All of the royal houses and many of the aristocratic families of antiquity were founded claims of divine lineage. Alexander the Great won possession of Egypt without a single casualty because of his claim to be son of Zeus. Supposedly, Zeus seduced his mother Olympias, this time in the form of snake. Julius Caesar claimed divine ancestry from Venus or Aphrodite through the Julian family’s progenitor, Aeneas. The Frankish demigod Merovech is the legendary founder of the Merovingian dynasty, a royal bloodline that lives on in today’s royal families like the Windsors of England the Hapsburg of continental Europe. The legend of the founding of Frankish dynasty goes like this. One afternoon, Merovech’s mother was having a nice little swim in the ocean, when all of a sudden, the Quinotaur chanced upon her, that’s a five horned sea-bull, and lustily had his way with her. 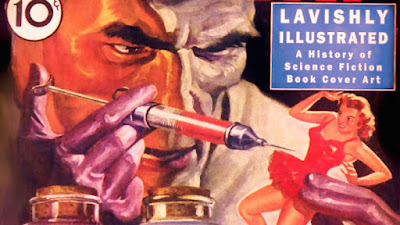 The theme of a divine or non-human shape-shifting seducer is also apparent. The theory of kingship and the right to rule on Earth came from this primitive superstition in “royal blood.” In early modern Europe, the divine right of kings was based on the idea that God appointed and anointed monarchs as his representatives on Earth. This barbarous relic from our past is still around unfortunately, as can be seen in the mass adulation of the queen and her family. In America, the presidential candidate with highest aristocratic pedigree is almost always the winner. This pattern of pre-selected officials based on their aristocratic lineage is all-too-common in the Old World, too. In the Arab states still run by royal families like Saudi Arabia, Qatar, Kuwait, and Bahrain, outright slavery is legal and the gross abuse of power the norm. The Latin word for the earth-goddess Terra, which is both womb and tomb of man, follows the established pattern. The Latin word Tellus, which is also another name for earth picks it up, too. The most prevalent symbol associated with the ancient Greek god Hermes, is the caduceus. It’s a rod supporting two intertwined serpents. At the top of of the rod, where the serpents’ head meet. various symbols have been placed over the centuries, a winged sun disk or a pine cone being the most common. It’s a visually striking emblem with many layers of symbolism. The picture on the right is from the December 1, 1926 edition of Manly P. Hall’s local Los Angeles occult newsletter The All Seeing Eye, Vol. 3 No. 2 . I think the 3-2 pattern is significant because Hermes equals 32 in reduced gematria. 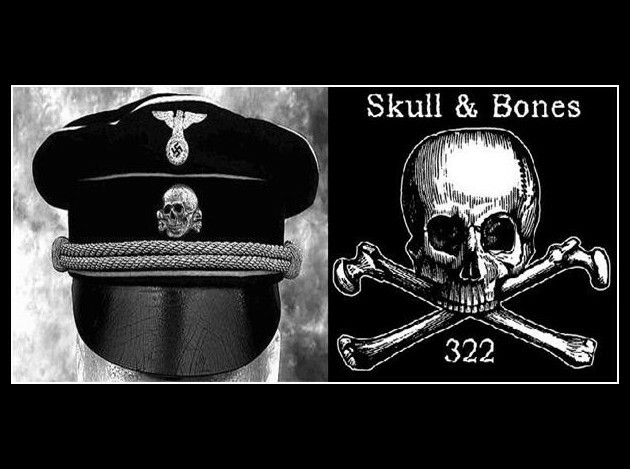 32 is a number that is also significant, because it matches the gematria of the caduceus itself. To those who admire his work, Manly P. Hall was a prophet and scholar with a great mission to wake up America from materialism, religious and scientific dogmatism. He was a true believer in America’s destiny to usher in what he calls “world democracy.” He was a lifelong student of esoteric knowledge, a tireless author and a fascinating speaker with a broad command of whatever subject he engaged. Manly P. Hall’s book, The Secret Destiny of America gets right to the matter on the first page. The screenshot below is from the Kindle Edition of the book. In this short paragraph, Hall tells us several things that directly contradict everything that mainstream America has been taught about the past. Hall is universally acknowledged as being one of the great masonic scholars of all time. When he was awarded the honorary 33rd degree, the ceremony was held at his establishment, the Philosophical Research Society. All of these fact support the idea that the patterns one finds in the numbers, dates and gematria in world history and in America’s history are not coincidences. They’re actually part of a larger design that’s also been hidden from the rest of the world. Hall’s Staff of Hermes article and the catchphrase “New World Order” are a match through the gematria of 75/174. Hall’s Hermetic philosophy of “world democracy” based on a “brilliant plan of the Ancients” is also in perfect alignment with those concepts. So let’s take a look a another piece of the puzzle. The other name for the staff of Hermes is the caduceus, which has the reduced gematria of 32, as discussed earlier It’s full gematria adds up 77. a number that’s related to what’s known as the American meridian. This is the 77th meridian in relation to the prime meridian in Greenwich, England. There several things to consider here. First of all, when Washington, D.C. was built, it’s site was not chosen by chance. The documentary film, The Secret Mysteries of America’s Beginnings deals with the fact that the major cities of the British colonies, Philadelphia, Boston, New York, Baltimore and the Washington, D.C. are in alignment with each other. This alignment extends eventually to Stonehenge in England. This arrangement could not have occurred without some sort of planning, or least awareness of what are known today as ley lines. The ancients who built Stonehenge and other monuments were very serious about them. Apparently the early colonists who founded New York, Boston, Philadelphia, and Baltimore, and the Freemasons who designed Washington, D.C. were also aware of these bands of electromagnetic energy that circle the earth. It is claimed by many experts today as well that these ley lines have certain properties. They follow the curve of the earth. 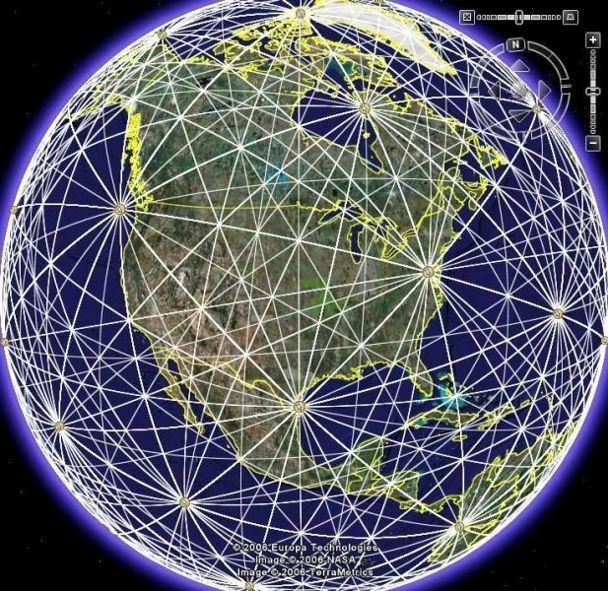 Ley lines are always straight. They radiate from different energy centers stretched across the earth. All together, ley lines form an invisible grid-like structure as seen in the picture above. . At the points where more of these lines intersect and radiate, more electromagnetic power is concentrated and projected. 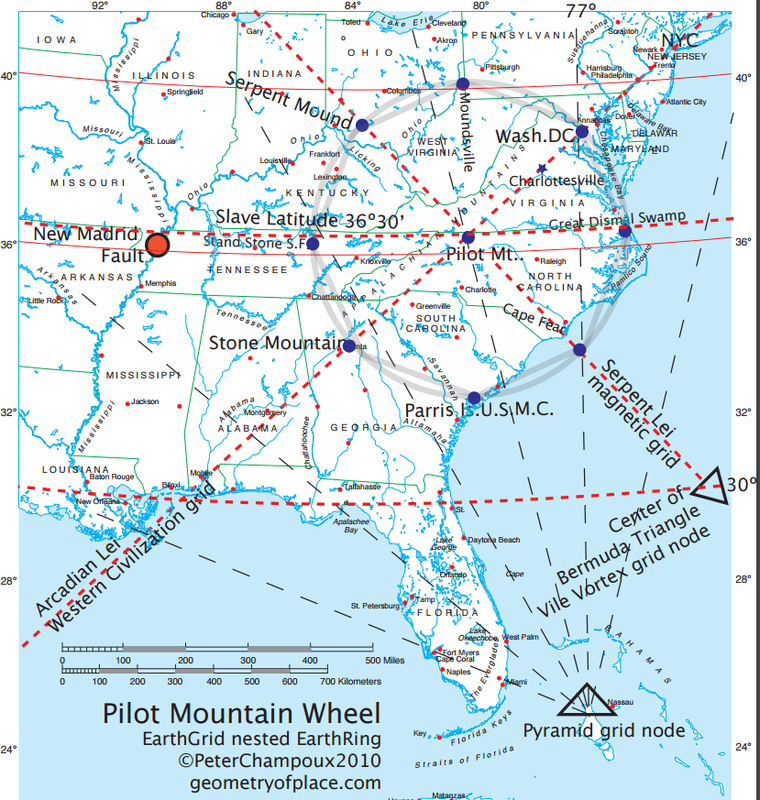 Washington D.C. is located on a site that has several important relationships to the geometry of these ley lines lines. 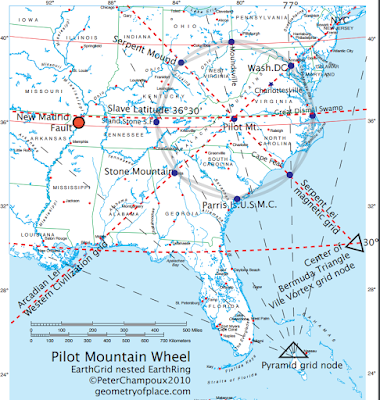 The ley line that cuts through Washington, D.C.and New York and other cities mentioned earlier also goes through Pilot Mountain in North Carolina. The 77th meridian line that comes straight up into Washington, D.C. runs along the ley line that radiates from a “pyramid grid zone” of Becker and Hagens. This area, right at the edge of North Andros Island, Bahamas is where Captain Morgan the pirate did most of his raiding. The horizontal latitude that completes the triangle is the 36’30” parallel, infamously known as the “Slave Latitude,” because of the Missouri Compromise of 1820. 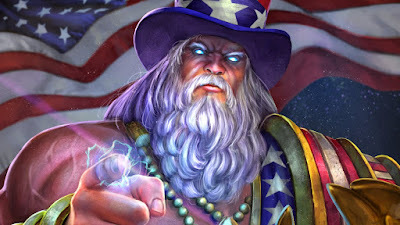 The gematria of 32 for both caduceus and power also matches with the date numerology of July 4, 1776. 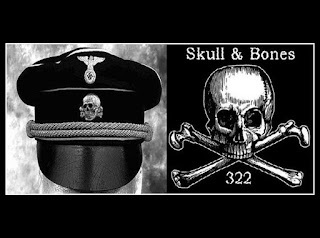 In those articles, I explore other connections with 32 and AmericA. More to come later. 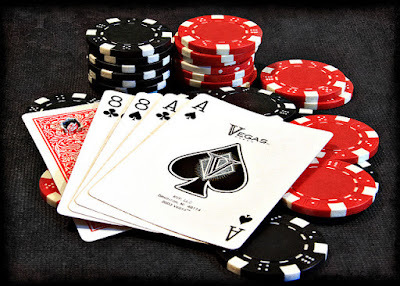 The most infamous hand in poker is known as the dead man’s hand, held by Wild Bill Hickok on the night he was murdered in Deadwood, South Dakota on August 1, 1876. According to the legend of that night, Jack McCall lost at cards to Hickok. After stepping from the poker table, McCall turned around and shot him in the back. “Wild Bill” Hickok died later, in the early morning of August 2nd. 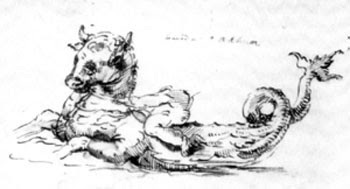 as 8-8. That sequence readily turns into 88, since 11×8 is 88.From a purely visual standpoint, the two eights together form the number 88, in the picture above. 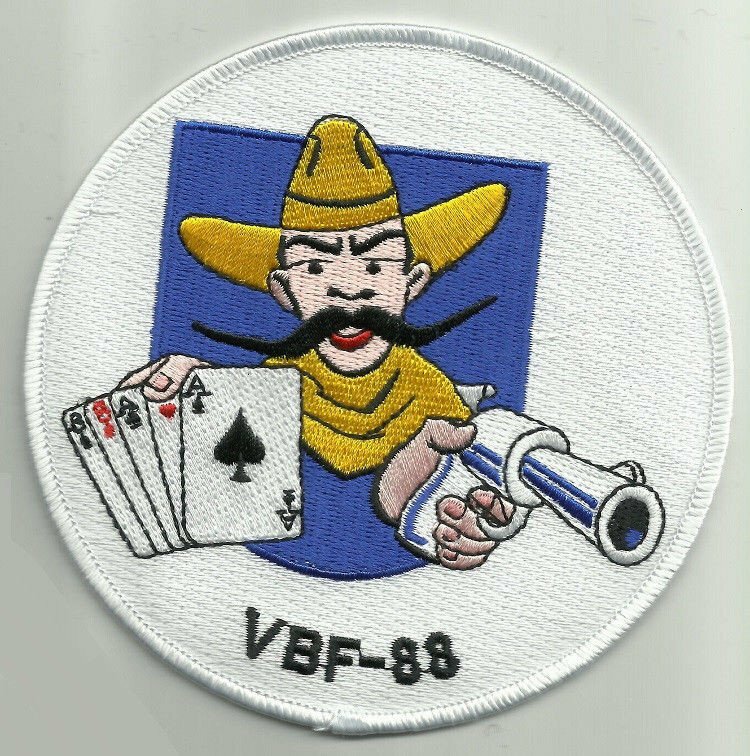 I the picture on the right, the association of 1-1 and 8-8 with the “dead man’s hand” can be seen in this World War II patch of the VBF-88 Fighter Squadron. 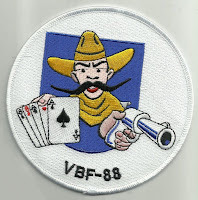 Not only that, the “RR” identification markers on their planes was also a reference to the “dead man’s hand.” Since R is the 18th letter, the “RR” markings are also broadcasting 1-8, 1-8, or 88. If that were the whole story, that’d be fine, but it’s not. The numbers for “dead man’s hand” lock into the visual theme perfectly. Hicock was shot on 8-1, 1876. When you break down all the numbers of the date numerology into single digits, 31 is the result. When you take away the nickname “Wild Bill,” J.B. Hickok is a match with the name of the man who shot him. Wild Bill was buried on August 3,1876, which can be written 8/3 or 3/8.